If you’re looking for employment, networking is one of your most powerful strategies. When it comes to connecting in the online world, LinkedIn is the most used tool for job seekers to reach out to colleagues, past and present, as well as potential contacts and employers. LinkedIn gives you access to job postings. You can set preferences for occupations and ideal location(s), join groups and find articles related to your career. LinkedIn enables users to give and receive recommendations from peers and supervisors. Members can also follow major companies and influential speakers. Using LinkedIn allows users to post profiles, resumes and portfolios. You can also upload articles and make posts for comment. If you’re unemployed or underemployed, staff at The Work Place in Grande Prairie can help eligible individuals – see www.gpworkplace.ca for details – with their LinkedIn profile and other job search support. Our staff ensure clients are using all the tools available to them, including accessing potential training opportunities (see contact details below). Updating or acquiring new skills may be part of your job search plan. 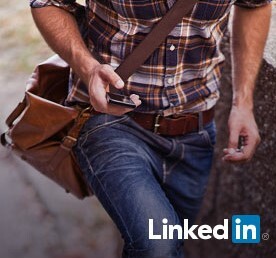 The links below provide tips and advice on how to maximize your LinkedIn experience. Overall, remember this social media platform is for professional use. It is not meant to be used like Facebook or other personal social media site. Upload an appropriate photograph and take care uploading your profile information, just as you would a resume. Don’t set it and forget it. Check regularly for messages from people you’ve connected with. Job postings are generally active for three to four weeks. A good engagement practice is to capitalize on notifications for birthdays and career advancement/job changes of your contacts. This is a great way to start conversations and to ensure ongoing contact with people in your network.